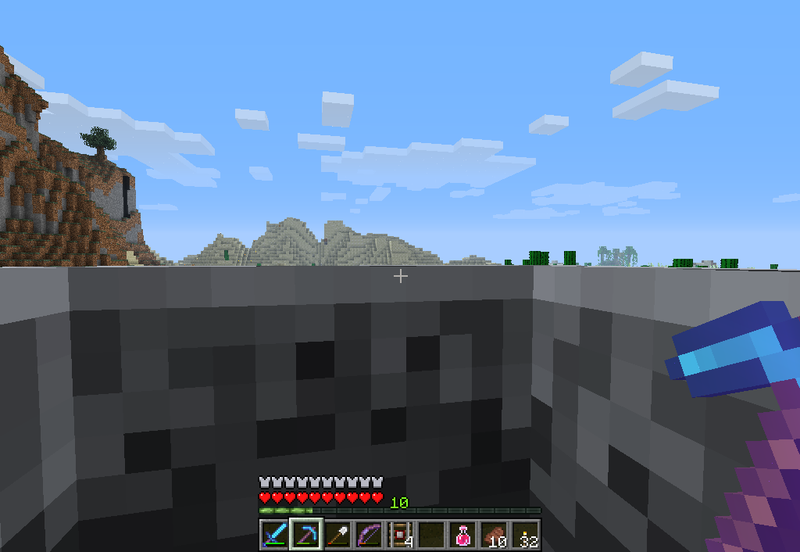 Sitting up in minecart for better view. How? Please help! This may be a really stupid question. If so, I apologize. 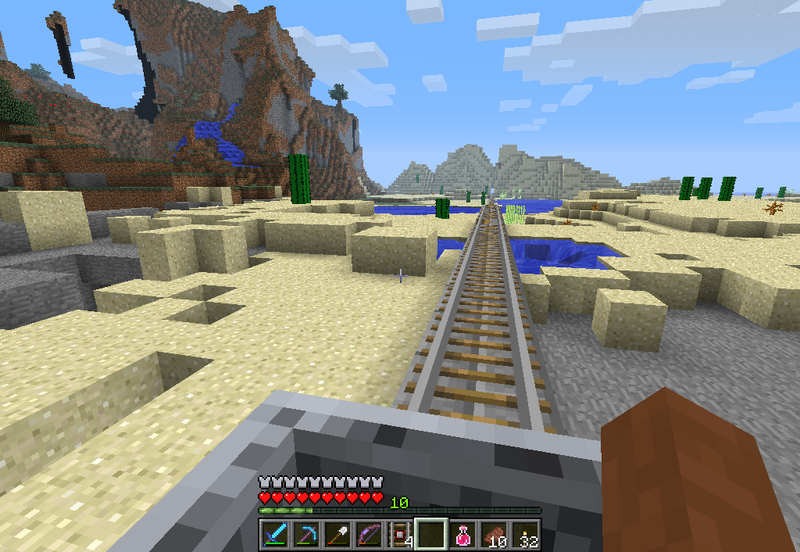 How do you sit up tall while riding in a minecart so you can see better? In videos everyone seems to be sitting up nice and tall, and one time while riding in my little railway I sat up tall, but the rest of the time I am hunched down. Its a bummer because I have created some pretty neat rails and roller coasters but without the ability to see clearly a lot of the fun and effect is lost. Is there a way to get the better view while still in first person? I've seen it in tons of videos. You're going to have to post a screenshot, or a link to a video that shows what you're talking about, because there is only one way to sit in a minecart. What version are these videos that are watching in? Edit: oh, and thanks IronMagus for the brief tutorial on posting images. You could try riding a pig on a minecart. 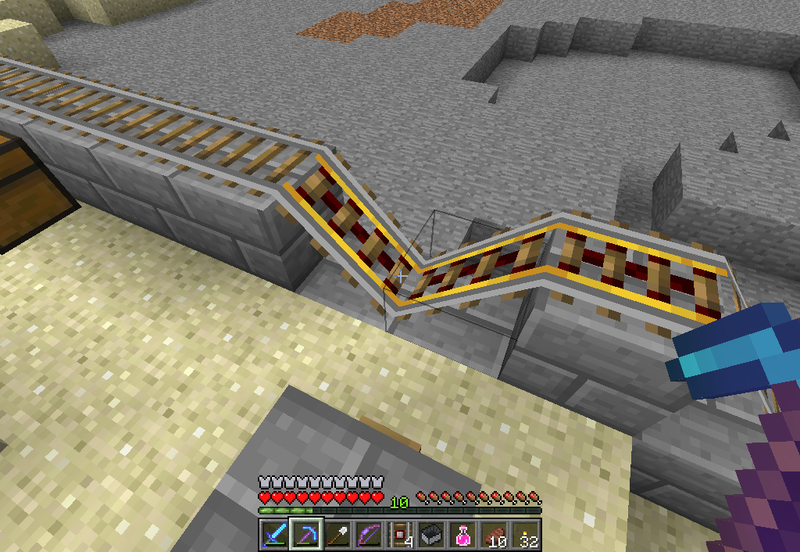 I've had this glitch as well, since i went onto 1.6.2, and as you point out, it does only seem to happen if you enter a minecart on a slope. Most of the time you stay like that til you exit the cart, but just occasionally it does correct itself mid-ride. I noticed if you do 3rd person view whilst in the cart, you legs are moving as if you were propelling the cart with your legs, this doesnt happen when sitting normally in it. That's never happened to me before. Although I don't use minecarts that much. That was exactly my issue. Starting your cart at an angle caused this.